On hold with Valley Medical Center for the past 35 minutes. The music is upbeat. Bad, but upbeat. Valley Medical closes at 5pm and my call came in at 4:55. After searching high and low for the referral paperwork. Worked hard for those two sheets of paper, then lost them. Found them leaved inside a New York Times Magazine in my computer bag. A wise friend used to say that if you can't find something, it probably looks like something else. It's shifted its shape and doesn't look like your mental image of it anymore. It's not lost, you just don't recognize it. The goal of this phone call is an appointment with a rehabilitation medicine doctor. A guy who comes recommended. In TBI cases, you're supposed to have one of these people coordinating your recovery. Almost 4 years in, I'm getting one. I don't think they're going to answer the phone, though. I don't think the next available agent shall assist me. They're not going to be right back with me. My call is not important to them. Probably they stopped taking calls at some undefined point before 5. When they felt like it. Lately I seem to be stumbling across lots of interesting, hidden operating rules. Arbitrary. Created to satisfy some other party's needs. To tell the truth, the whole process of trying to get help has been like that. An obstacle course without end. So far it hasn't yielded anything for my recovery. To get the referral, I had to go to a separate clinic. 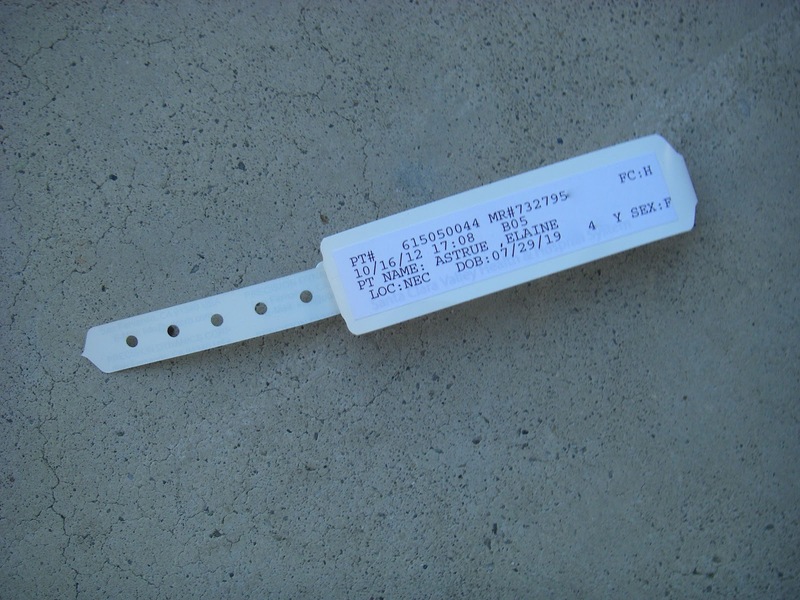 They created a new patient record, like it was a prize or a lottery ticket. I have a number now, and the number is really important to them. It enables me to make an appointment, wait at reception, repeat all my contact and insurance info, give photo ID and insurance card. Wait. Then, wait. Weight, blood pressure, pulse. Wait. Repeat entire story to the doctor: accident, symptoms, medications. Do another neurological test. Dog, book, grass (I think). Tuesday. Barack Obama. Valley Medical Center Clinic. Sunnyvale. The doctor is a nice person. When she says I seem highly functional and my forgetfulness sounds normal, I don't even attack her. Just give me the f---king referral. Gotta feel for these people. They think they're dealing with your average suburban matron when I am in fact Jason Bourne. When she gives me a look and asks about depression after the head injury, I shake my head no. Speechless. No more words for you. I'm paying all of your salaries with this mock visit. This is anger, not depression. Just give it to me. And what is it with being on hold? Having the music interrupted every thirty seconds to be reminded you're on hold isn't actually helpful or pleasant! Thanks, Rachel! Got through last Tuesday. Have appointment tomorrow. Wish me luck! Now you phone will listen to their merry music on your behalf! The application waits for the operator's voice on the line and signals when this happens.